Review: Does Assassin’s Creed Break the Video Game Movie Curse? Assassin’s Creed reunites director Justin Kurzel and actors Marion Cotillard and Michael Fassbender (who worked together on 2015’s Macbeth) for a fun adaptation of the the popular video game. The story centers on Calum Lynch (Fassbender), a descendant of a secret society known as the Assassins. He’s recruited by Sophia Rikkin (Cotillard) and subsequently forced into the Animus, advanced technology which unlocks his genetic memory and allows him to assume the life of his ancestor Aguilar during the Spanish Inquisition. It’s these flashbacks that allow him to acquire the skills needed to take down the modern day Templars who are holding him and other Assassins hostage. Fantastic Beasts and Where to Find Them is a wonderful leap back into J.K. Rowling’s magical world, but it’s not what you might think. While it does tie into the Harry Potter timeline, this one is set in 1926 in New York City. It also centers on a Hufflepuff named Newt Scamander (Eddie Redmayne) rather than a boy with a lightning bolt on his forehead. Is this thing on? I know, it’s been a while since my last update but I have great news to share! 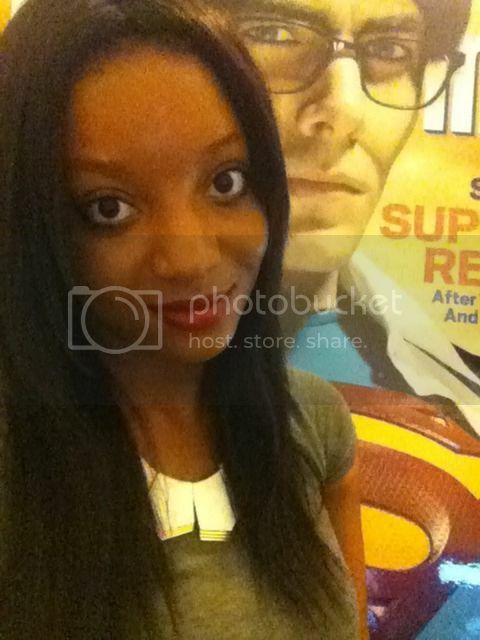 Back in August, I transitioned from freelancer to assistant editor at The Mary Sue. If you’re into geeky things from a feminist perspective, check out our site. I’ve written essays like this one on Tim Burton’s predominately white films. I’ve also spoken to some wonderful people including Marvel producer Victoria Alonso and Vampire Diaries star Candice King. Oh, and did I mention I’ll be writing about some of my favorite shows for PopSugar?! I can’t tell you how excited I am about everything right now. I also attended DragonCon and got to speak with Felicia Day and Alan Tudyk about their mobile game Con Man. I also went to New York Comic-Con for the first time and dove right back into on-air reporting. I’ll have to upload photos of all the great cosplayers I saw at some point but for now, check out these videos from the event. My journey to NYC has been hectic and unpredictable, but now it looks like I’m finally settling in. Can’t wait to show you all the amazing things coming up. Joseph Sikora, who plays Tommy Egan on Power, dishes on marathon eating, killing Ghost and more. The story follows Ghost (Omari Hardwick) trying to escape his double life as both a top drug kingpin and legitimate business owner. Lela Loren, Naturi Naughton, Andy Bean and Curtis “50 Cent” Jackson also star. Wizard World Philadelphia is hella expensive and I blame temporary insanity (brought on by extreme thirst for Chris Evans and Tom Hiddleston) for purchasing tickets that cost [This information has been redacted]. Still, the convention was a wonderful experience and I’d consider going again if I married rich or won the lottery. Seriously, I’m about to be on that ramen diet after this week. My favorite part of attending this sort of event is and probably will forever be the cosplay. I saw everything from Sailor Moon to the men in drag from Mulan to an awesome Deadpool who made his own version of Captain America’s stealth suit and shield. Kicking myself for not jumping out of my photo op line to grab a quick pic! John Boyega not heading to Black Panther? Michael Keaton confirmed for Spider-Man: Homecoming? And poor DC Entertainment. We talk it all here. Cancellations, Renewals and New Shows – Oh My! Hey guys! I got together with Kristin to discuss the highlights of the season finale of The Originals. The full episode is available now on CWTV.com. Jesus, @thisfunktional of Thisfunktional.com, talks with entrepreneurr Rosie Rivera and designer Diego Mendel about the special edition Alice Through the Looking Glass boots from the Jenni Rivera Footwear line. “Alice Through the Looking Glass” Opens in theaters May 27. 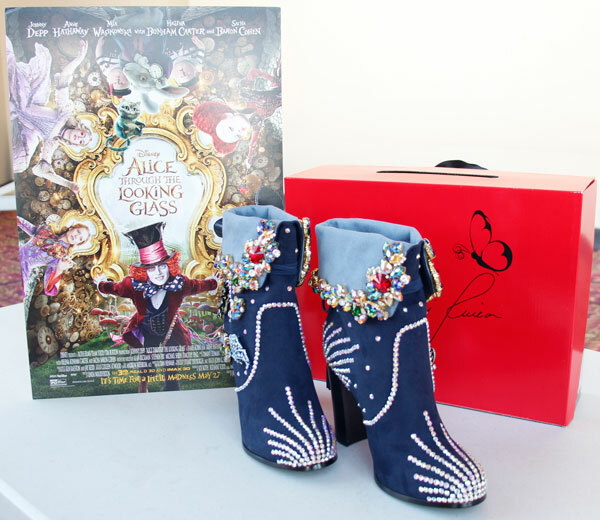 Visit JenniRiveraFashion.com for “Alice Through the Looking Glass” Boots contest details. Did you watch the trailer movie fans? Looks pretty funny and super sweet cast. #MothersDayMovie hits theaters April 29 but with these passes – you’ll see it first. Good luck on downloading these – – better more fast! !